Welcome back! Today’s topic is on how to stay CONSISTENT as a blogger. If you have been following my journey for a while now, you know one of the most IMPORTANT things when it comes to being a “successful” blogger is: STAYING CONSISTENT. Why is it important to stay consistent? It builds a trusting audience. It can lead to future sales. It can help to get your audience to keep coming back! So, today I want to share with you TEN ways to help you stay consistent as a blogger. 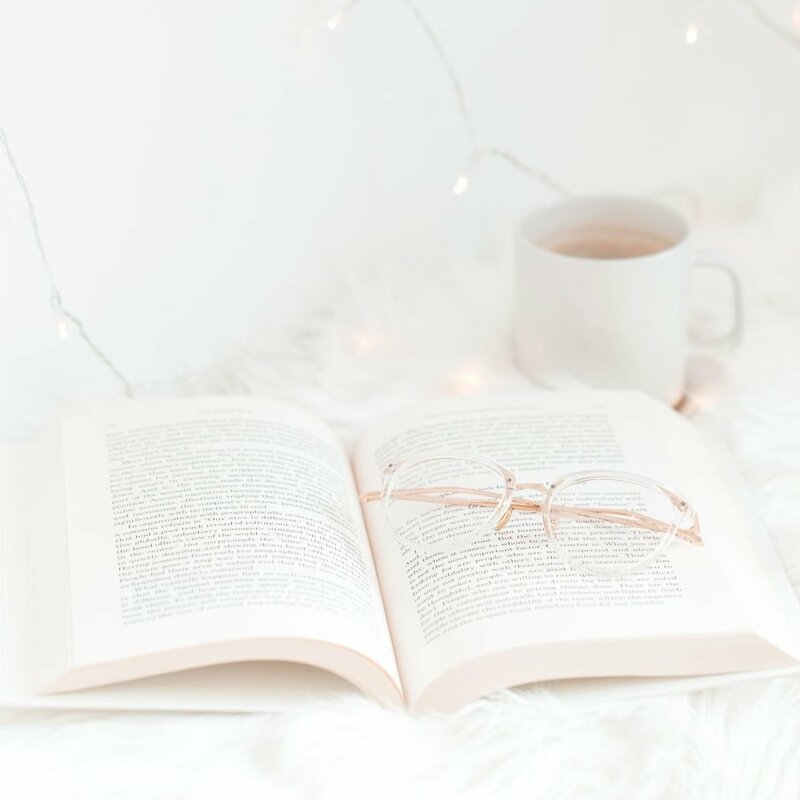 First things first… I am the definition of an over planner (probably) BUT when it comes to blogging and staying consistent, planning is the way to go. Plan ahead!! This is something I have been recently implementing. I find that having a goal list helps to keep me motivated when it comes to staying consistent. my weekly goals will help me achieve my monthly goals and my monthly goals will help me achieve my yearly goals! Keep your goal lists viewable at all times. I usually will keep a list in my planner, and on my dry erase/bulletin boards. Posted on your fridge works too! As hard as it may be, when you are working on writing and content creation… YOU NEED TO PUT DISTRACTIONS AWAY. Keep your phone in a separate room. Work when the children are sleeping or being watched by a spouse or sitter. Have a space where you can go and close the door. Turn the tv OFF. Sorry, no Netflix while you write. The more distracted you are, the less work you get done. It’s so important to eliminate the distractions if you want to stay on task, focused and of course, CONSISTENT. It’s no surprise that photography is one of the biggest struggles when it comes to content creation. Believe me, I am NO photographer. BUT I do take the time to invest and try to put my best photography out there. I used to find myself struggling to get all of my photos together for each new blog post and social media post. That’s when I decided to bulk photograph. What I mean by this is: Every Sunday or Monday I will usually pull out my content schedule and see what photography I might need for the week. Let’s say I have a 5 foundations I love beauty post scheduled to go up Wednesday, a how to stay organized post Friday, and a 10 ways to use essential oils post for Sunday. I would (the Monday before) photo shoot all of the photos I need for these blog posts as well as any photos I need for social media posts (Instagram). This helps so that I am not struggling to take photos last minute! And for my “blogging about blogging” posts I usually use stock photos. This can be a great to invest in if you don’t have specific photos relating to a topic. This has been one of my favorite tips when it comes to staying on top of my consistency and tasks! I always love to mention – SET TIMERS. Each day I will have a “to do” list. I set it up with the MOST important task at top and the least important task on bottom. I will set a timer for my first task and once the timer is up, I will move onto the next task. If I don’t complete the task before the timer is up, I will bring the task to the bottom of my list and go back to it. This helps to make sure that I am spreading my time out evenly, staying productive, and getting as much done as I can! Having a timer also helps to keep me focused because I know I only have a certain amount of time to get it done. My all time new favorite investment has been Tailwind! If you have been following me for a while, you know my love for Pinterest. I talk all about how you can use Pinterest to grow your blog HERE. Well, a couple months ago I decided to take the leap and invest in annual Tailwind which allows me to schedule unlimited pins. My blog traffic grew by 200% in just ONE month thanks to using Tailwind! Now how does this help me stay consistent? WELL – It helps so that I am CONSTANTLY pinning on Pinterest which keeps my blog consistently circulating throughout Pinterest everyday. This allows me to grow my blog traffic without having to be present, therefore allowing me to have more time to work on putting out consistently good content! If that makes sense. Having a set day where you send a newsletter out to your subscribers helps to keep you consistent as well! Your readers subscribe because they LOVE what you share and want to hear from you again. I find that having a newsletter go out every Friday that includes links to your posts from that week not only helps keep your readers updated BUT also keeps them returning back to your blog. Also helps keep you consistent. Having a newsletter means you are holding yourself accountable for getting your posts up that week & getting that newsletter sent to your subscribers by Friday! If you have an end goal of “sending a weekly newsletter” it will become more important for you to make sure your new posts are UP so you can add them to your newsletter and get that sent on time! Your subscribers are counting on you – don’t let them down! Make sure you are self hosted! You can read all about that HERE + you can get started self hosting by signing up with Siteground (message their live chat team for site transfer help! They transferred my site for me at no additional cost.) They start at $3.95 a month SUPER affordable. Sign up with an e-mail list builder. I use MailerLite and absolutely love how easy to use it is! They have drag and drop templates. AND it’s FREE for up to 1,000 subscribers! A huge tip that many full time bloggers swear by is: Having a set content schedule! Meaning, you have a new blog post up every set day. Whether it be (Monday, Wednesday, Friday) or (Thursday & Sunday) or (Monday & Wednesday) whatever your set days may be. Stick to it!!! Also note ** If you blog about more than one topic…have a set day for each topic. I may be biased because I am a blog coach myself, but many of my clients love setting up weekly or monthly coach calls where we set goals and get them done. I also always tell my clients to send me their content schedules if they want to, and I will help keep them accountable!! I offer 60 min sessions for $75. If you have never created a vision board before, now is the time!! I love vision boards! You can create a vision board by purchasing a bulletin board and then filling it with things that motivate & inspire you. Look at your vision board whenever you find yourself losing sight of your goals, falling off course, or just to get a boost of inspiration! It reminds me that if I stay focused and consistent, I will eventually get to travel to these beautiful destinations! Have a Weekly Schedule Dry Erase Board (you can find one online or at Walmart/target etc.) I will write my week out and keep it hanging in my office space. I look at it to stay on track throughout the week! I hope these tips and tricks help to get you back onto a consistent schedule. If you enjoyed this, you might also enjoy – How to Consistently Put Out Your BEST Content. Let me know what you want to read next in the comments below!! I also would love to hear what you think! These are amazing tips! I have been struggling with just putting together a plan. This will definitely help me get on track. Thanks for sharing! This is so helpful thank you ell. I have a full time job 7-7. Schedules according to time won’t really work. Thanks for the motivation as I plan out my week! Thanks, I needed this haha! I am not consistent with my blogging. I needed to read this! Thanks! EEEEK These are amazing tips! I always plan stuff out a month ahead of time but what I really wanna work on is the whole weekly thing like doing a certain type of post every week on the same day. So glad you enjoyed these tips! Thank you!! And yes, having a weekly plan helps so much!! These tips are great! I tend to be an over planner as well, but will need to start implementing some of these others into my blog planning. Thank you! Whoa this was so thorough and great I really appreciate it! I definitely have to work on planning out the content for the whole month. I want to get more into photography, too. I started getting into the newsletter thing but I found out I need to have an actual address, but I don’t want to put my home address, so I have to wait on that unfortunately. Thanks again for an awesome list! Thank you so much! I’m so glad you enjoyed it (: once I started content planning a month in advance, I saw positive results and felt less stressed !! I love this post!!! I am a GREAT planner but a not-so-great do-er. I am going to try my hardest to follow these tips and actually DO them!!! Thank you for the inspiration and tips!! I needed this today! I’ve been blogging consistently this month and loving it. I’ve been an inconsistent blogger, and so want to jump in and hit my stride. Your advice has inspired me, and made me realize I don’t have to be so overwhelmed. I am so glad to hear this! Thank you!! (: 2019 will be your year of growth and consistency!